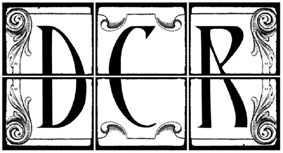 Divine Comedy Records Limited is The Divine Comedy’s own record company. Owned by Neil Hannon (90%) and Natalie DePace (of Divine Management), the company was set up in 2002 after The Divine Comedy were given the rights and the master recordings of their Setanta Records back catalogue. However the terms of the deal still remains unclear nowadays, rumours say that Setanta couldn’t afford paying Neil Hannon royalties he was due. “[…] We do still really want to do the reissues. In fact before the recession started we’d been intending to get them out in 2010 in time for the 20 year anniversary of The Divine Comedy’s first release. We all love those albums as much as anyone else and want to see them physically available even if doing so makes a loss for a while. It is after all Neil’s life in music. Despite no update has been given since about the back catalogue, the label has since very active in other fields as it produced all Neil Hannon’s new material since. Divine Comedy Records have released the album Bang Goes The Knighthood and its singles, as well as the two Duckworth Lewis Method albums. 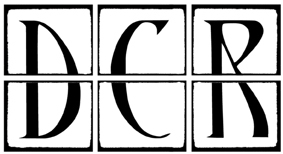 The logo was designed in 2005 through a fan competition. The winner James Watts originally did a logo based on Art Nouveau design of Dublin’s Stag’s Head pub in Dublin which features the 2004 album Absent Friends (ironically an album which remains the property of Parlophone Records). Although the final version – to be found on the records – is a simpler logo which keep only the 6 windows idea.